I am facing a problem related to corrupted gtk theme for certain applications. My default theme is Ambiance under Unity. It works fine for most applications like Chrome, Firefox, Nautilus, etc. However, for certain applications such Gnome tweak tool, Ubuntu Tweak, etc. 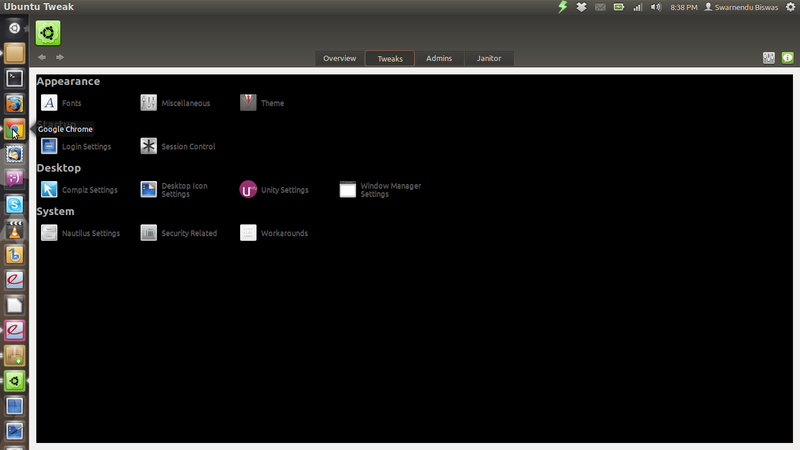 the gtk theme is completely black and dark. That is the background window color, making viewing the window text very difficult. This is happening with Gnome shell also. I have tried resetting gnome and Unity settings, reinstalling light themes, but it didn't work. Also, note that I do not face this issue while using other themes such as Adwaita. This problem is no longer valid after upgrades. Not the answer you're looking for? Browse other questions tagged themes ambiance gtk3 or ask your own question. How to fix gtk theme? How can you enable GTK3 themes' dark theme mode when using Unity 7?